McCollum, Barbara June Pratt. San Francisco's Generations. Inscribed by the author. A Family Heirloom... 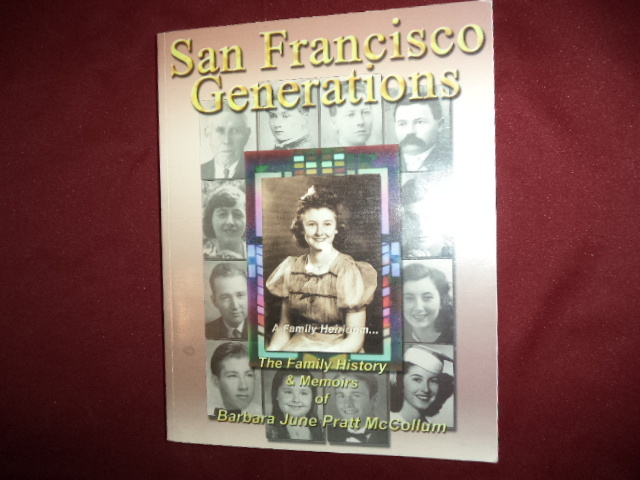 The Family History & Memoirs of Barbara June Pratt McCollum. Photo available. np. Self published. 2002. 4to. Soft cover. First edition. Illustrated. Inscribed by the author "Dearest Mer(? ), The've traveled the journey together - I treasure our friendship - Love, Barb (smiley face)". Fine copy. McConkie, Judith E. With Anxious Care. The Restoration of The Utah State Capitol. Photo available. Salt Lake City. Utah State Capitol Preservation Board. 2007. 127 pps. 4to. Hardcover. First edition. Illustrated in black, white and color. Important reference work. Fine copy in fine dust jacket (in mylar). McConnell, Brian. The History of Assassination. Nashville. Aurora. 1970. 360 pps. Octavo. Hardcover. First edition. Near fine copy (very light shelf wear). McConnell, James. English Public Schools. London. Herbert Press. 1985. 224 pps. Octavo. Hardcover. First edition. Illustrated in color and black & white. Fine copy in near fine dust jacket (in mylar). McCord, Gary. Golf for Dummies. Photo available. New York. Wiley. 1999. Octavo. Soft cover. Second edition. Illustrated. Fine copy. McCord, Melissa. A Field of Short Poppies. A Journey to the Extraordinary Lives of Ordinary People. Photo available. Sydney. Doubleday. 1992. Octavo. Soft cover. First edition. Illustrated in black, white and color. Fine copy. McCormack, Mark. The Terrible Truth About Lawyers. How Lawyers Really Work and How to Deal with Them Successfully. New York. Beech Tree. 1987. Octavo. Hard cover. First edition. Fine copy (owner blind stamp) in fine dust jacket (in mylar). McCoy, Elin. The Emperor of Wine. The Rise of Robert M. Parker, Jr. And the Reign of American Taste. New York. HarperCollins. 2005. 342 pps. Octavo. Hardcover. First edition. Illustrated. Review slips laid in. Fine copy in fine dust jacket (in mylar). McCreary, Michael. Havens II. Celebrity LIfestyles. Los Angeles. General Pub. 1998. 4to. Hard cover. First edition. Illustrated in black, white and color. Introduction by Bob Hope. Fine copy in fine dust jacket (in mylar). McCredie, Scott. 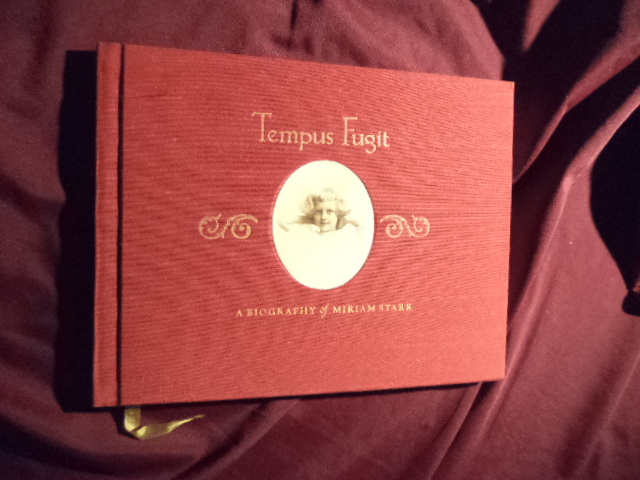 Tempus Fugit. A Biography of Miriam Starr. Photo available. np. Self published. 2004. Octavo. Decorated hard cover. First edition. Illustrated. Folding family tree. Important reference work. Limited edition o 30 copies. Fine copy. McCrohan, Donna. The Honeymooners Lost Episodes. The Ralph, Alice, Ed and Trixie You've Waited 30 Years to See. Photo available. New York. Workman. 1986. Octavo. Soft cover. First edition. Illustrated. Fine copy. McCullough, Colleen. The October Horse. A Novel of Caesar and Cleopatra. New York. Simon and Schuster. 2002. Octavo. Hard cover. First edition. Fine copy (remainder mark, bottom edge) in fine dust jacket (in mylar). McCullough, David (ed). City Sleuths and Tough Guys. Crime Stories from Poe to the Present. Boston. Houghton Mifflin. 1989. Octavo. Hard cover. Reprint. Fine copy in fine dust jacket (in mylar). McCunn, Ruthanne Lum. 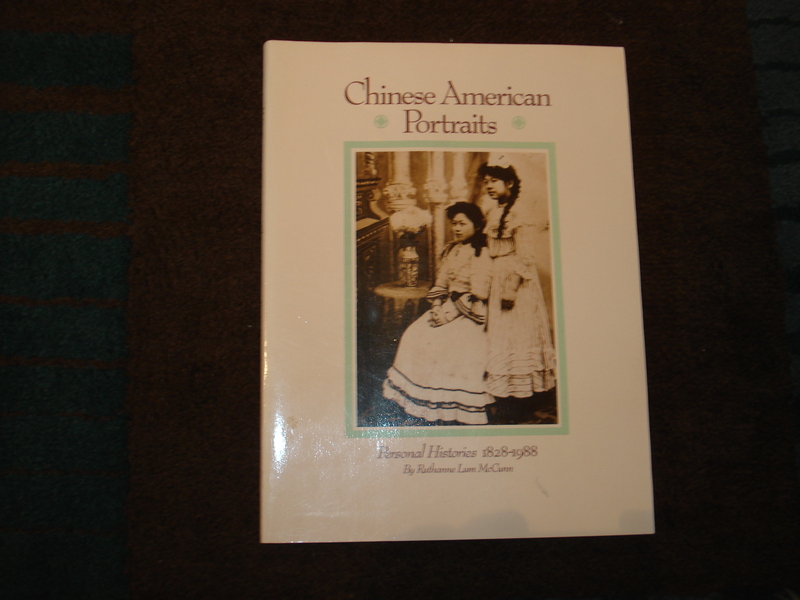 Chinese American Portraits. Signed by the author. Personal Histories. 1828-1988. Photo available. San Francisco. Chronicle Books. 1988. 4to. Soft cover. First edition. Illustrated. Signed by the author on the title page. Fine copy. McCutcheon, Richard. 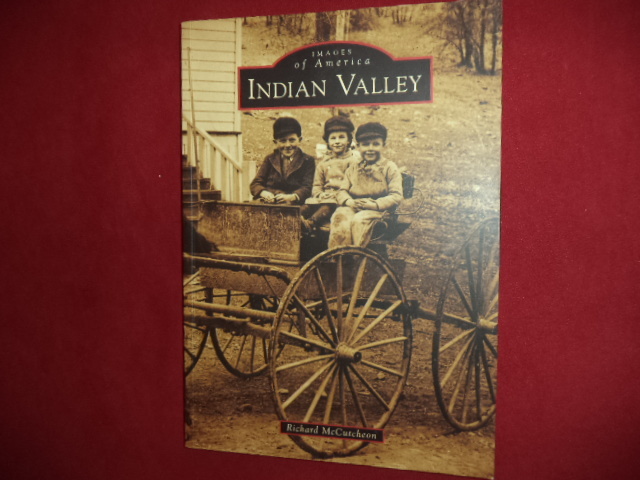 Indian Valley. Images of America. Plumas County, California. Maidu. Photo available. Charleston Arcadia. 2008. Octavo. Soft cover. First edition. Illustrated in black, white and color. Important reference work. Fine copy. McDermott, John . 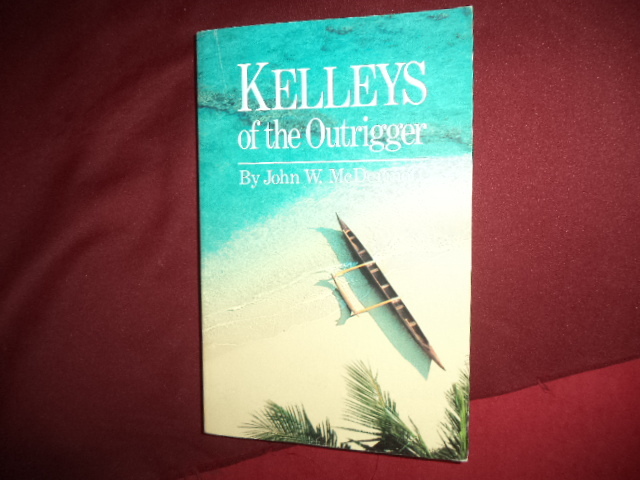 Kelleys of the Outrigger. Photo available. Honolulu. ORAFA Pub. 1990. 245 pps. Octavo. Soft cover. First edition. Illustrated. Folding plate. Fine copy. McDevit, Ray (ed). 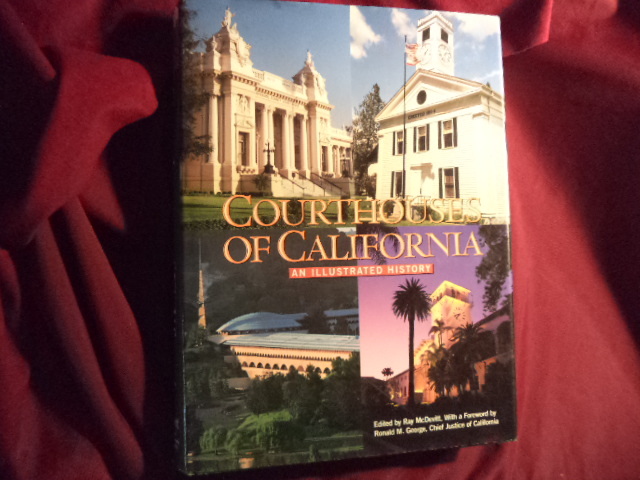 Courthouses of California. An Illustrated History. Photo available. San Francisco. California Historical Society. 2001. 365 pps. 4to. Hardcover. First edition. Full number line. Illustrated. Important reference work. Fine copy in fine dust jacket (in mylar). McDevit, Ray (ed). 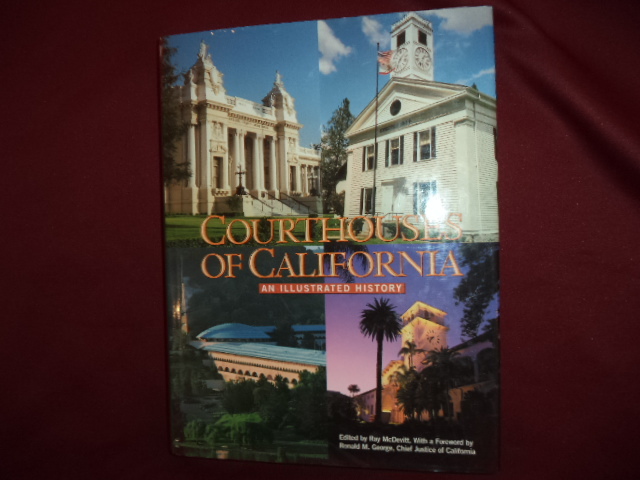 Courthouses of California. An Illustrated History. Photo available. San Francisco. California Historical Society. 2001. 365 pps. 4to. Hardcover. First edition. Full number line. Illustrated. Important reference work. Presentation to Roger Niello (Sacramento County Supervisor) laid in. Fine copy in fine dust jacket (in mylar). McDonald, Elvin. The Color Garden (White). Single Color Plantings for Dramatic Landscapes. With seed pack. Photo available. San Francisco. Collins. 1995. Octavo. Hard cover. First edition. Illustrated in black, white and color. Includes unopened seed pack Fine copy in fine dust jacket (in mylar). McDonald, Forrest. E Pluribus Unum. The Formation of the American Republic. 1776-1790. Indianapolis. Liberty Press. 1965. Octavo. Hard cover. Second edition. Fine copy (owner blind stamp) in fine dust jacket (in mylar). McDonald, Gerald. The Films of Charley Chaplin. New York. Cadillac. 1965. 4to. Hardcover. First edition. Illustrated. Fine copy. McDonald, Jim. The Real Story. John Demjanjuk. Brattleboro. Amana. 1990. Octavo. Soft cover. First edition. Fine copy (owner blind stamp). McDonald, Julie. 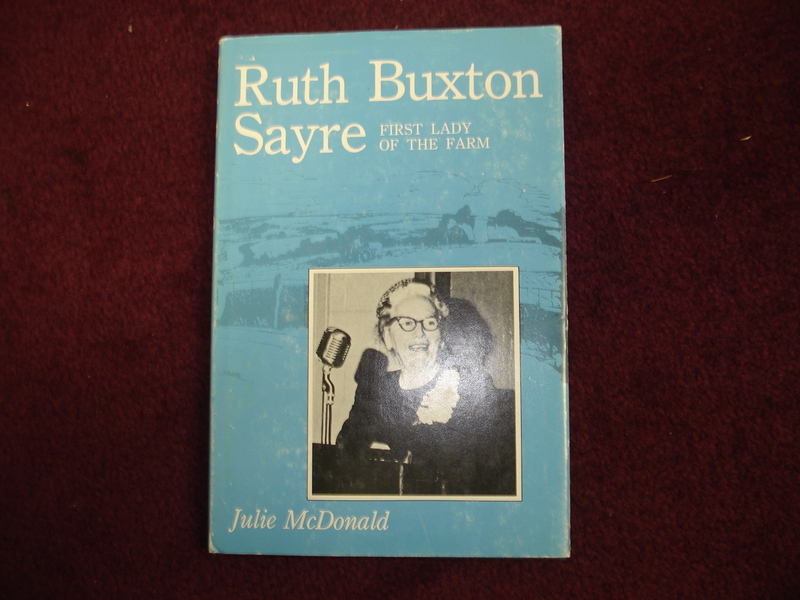 Ruth Buxton Sayre. First Lady of the Farm. Photo available. Ames. 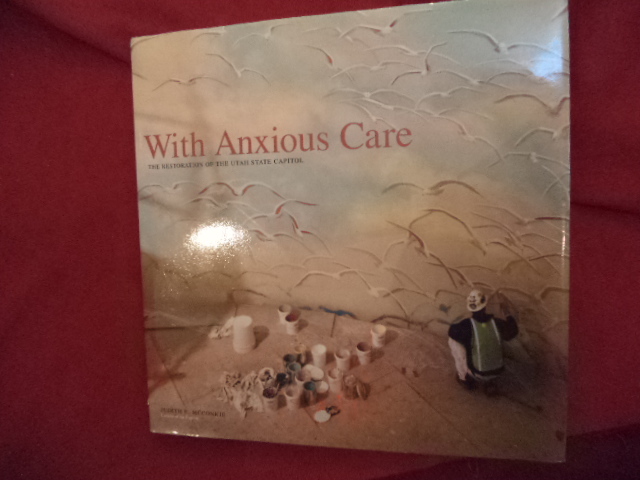 Iowa State University Press. 1980. Octavo. Hard cover. First edition. Illustrated. Fine copy in fine dust jacket (in mylar). McDonald, Mary Ann. Out of the Past. Amish Tradition and Faith. New York. Smithmark. 1996. 4to. Hard cover. First edition. Illustrated in black, white and color. Fine copy in fine dust jacket (in mylar). McDonough, Peter. Men Astutely Trained. A History of The Jesuits in The American Century. New York. Free Press. 1992. 616 pps. Octavo. Hardcover. First edition. Illustrated. Fine copy in very good (closed tear) dust jacket (in mylar).